La performativité est un concept qui occupe une place croissante dans la théorie des organisations. Le concept de performativité renvoie à la capacité de certains énoncés délibérés à changer la réalité et les pratiques qu’ils désignent. Dans cette perspective, l’action non pas seulement considérée dans ses principes (dimension ostensive) mais dans ses pratiques (dimension performative) (Latour, 1984). L’orientation performative considère que la réalité est une construction qui se fonde sur des interventions concrètes et situées, médiatisées par des instruments. l’approche butlérienne, s’intéresse plus spécifiquement aux processus de subjectivation à travers lesquels des individus ou des groupes acquièrent une identité par la répétition d’actes performatifs (Butler, 1997 ; Butler, 2010). Laure Cabantous et Luciana d’Adderio ont fortement contribué dans leurs travaux récents à la prise en compte de la performativité dans la théorie des organisations (Cabantous et al., 2016; Gond & Cabantous, 2016 ; Cabantous & Gond, 2011; d’Adderio & Pollock, 2014; d’Adderio, 2008, etc. ). Ce séminaire sera une occasion unique à travers leurs présentations, d’échanger sur l’importance, les opportunités et les enjeux de la performativité dans la théorie des organisations. Laure Cabantous is Professor of Strategy and Organization at Cass Business School. Her research agenda is organized around two main research areas: the performative power of management theories and models – that is their ability to shape the world and business practices; and practices of valuation and calculation in organizations (in relation with strategy making and decision-making). She has also an interest in decision making practices and distributed cognition in organizations (i.e., how organizational actors make use of “things” to think and make decisions). Her research has been published in journals such as the Journal of Management, Organization Science, Organization Studies, Human Relations, the Journal of Risk and Uncertainty, and the Journal of Behavioral Decision-Making. Dr Luciana D’Adderio is Reader in Management at Strathclyde Business School/Hunter Centre for Entrepreneurship. She is an innovation and organisational scholar specializing in (information) technology and organisational change. Her research focuses on the effects of technology over infra- and inter- organizational practices or routines and business models. She was recently awarded the ‘New Professor Fund’ as well as the ‘Research Excellence Award’ at Strathclyde. Earlier in her career she was awarded one of only seven ‘Innovation Fellowships’ with the ESRC/EbPSRC Advanced Institute of Management (AIM) Research. Her AIM Fellowship, titled ‘Dependable Innovation’, explored the challenges and opportunities to Open Innovation in the context of the network organisation and high technology production. 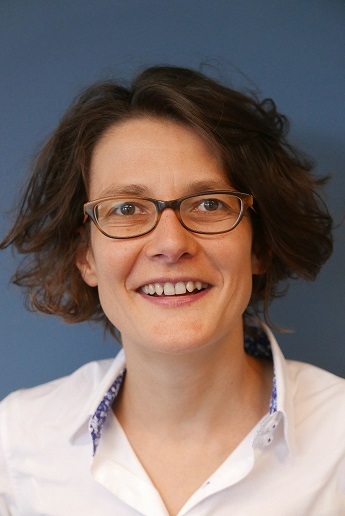 She has since acted as principal investigator and co-applicant on a number of prestigious RCUK and Scottish Government grants including the ESRC “Software Biographies”, the AHRC “Practices and Business Models for 3D Printing”, and the Scottish Enterprise “Open Innovation Initiative”. Luciana has published articles in high impact academic journals such as Organization Science, Organization Studies, Accounting, Organization and Society, Research Policy, Information and Organization, and Industrial and Corporate Change. Her publications include the monograph ‘Inside the Virtual Product: How Organizations Create Knowledge through Software’ (Edward Elgar). Luciana is a member of the Organization Science Editorial Board as well as acting as Senior Editor for the recent Special Issue of Organization Science on ‘Routine Dynamics’.